Little bit about me that I have are some good, but most of my life was and still is horrible. I have PTSD, Depression, Eating disorder, Anxiety Disorder, and Panic disorder. It is the worst things that happened to my life. 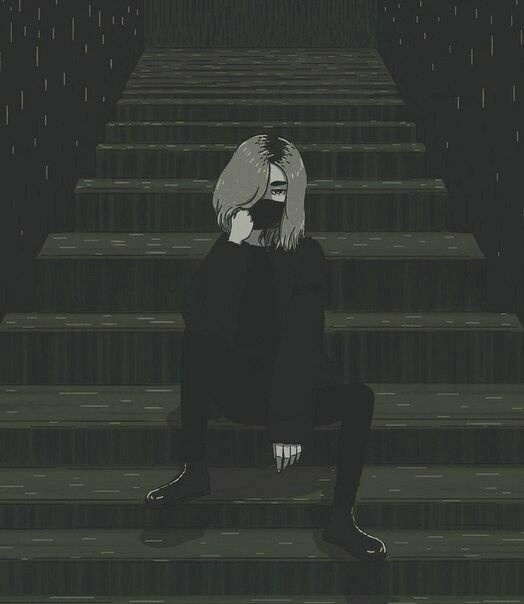 I was trying to do my best to get myself better, but it hard when i became Antisocial and alone without my lover. Been Bullied for years, and after that I become a loner before I started to date to my lover. I hate being betrayed, lied to, been bullied, and the worst thing is that I been stalked on the internet to know where I lived at, but that is a long story to tell. Favorite things that I Write: Romance, Horror, Poetry, Non-Fiction. Favorite types of Music: Rock, Metal, Nightcore, Pop. I been gone for a little bit. I been going through a lot lately. It's all good, we have those moments ourselves. Just take it all in one stride at a time. mumbled "This is from a few months ago...."
I can’t sleep at all cause of some things in my life is and was a wreck. My Anxiety is going up ever since a few months back and i am tired of some certain person that i know that wants to ruin people life like mine. I am sick of High School Drama, and certain person that i know needs to grow up and have a life. If anyone wants to know, ask me cause i am tired pf this is stuck into my chest for years. Sometimes that i feel like that i am done with life and sometimes that it the opposite of that. I have a eating disorder since i was 4 cause how i been treated when i was little. Depression and anxiety came from my age between 8-10 years old. PTSD came from my high school life that i became Anti-Social. also from my Panic Attacks. I don’t want to talk about my other thing that happened to me a couple years ago cause it pains me. I am done with Certain things of life. I need support in my life that i can’t handle anymore and sometimes that i dislike myself for it. the past wants to haunt me forever. dreams that i had is about my past and it hurts badly. it hard to tell someone and sometimes that i want to go in a dark hole. I am a broken soul that is hard to fix. i only need one person and it my man that i love. I'm sorry you had to go through that. I wish that I live in a Fantasy world with no trouble, but things is that life is an unknown reality. Living in a horrible life that people will have a different life problem that no one sees, or hears. Hearts breaks my many, and by many, I mean millions. it becomes hurt and pain. without you knowing it and see it. Secrets spread really quick but life you trust that someone and they trust you,then you can tell them your secret. nice poem. It reminds me of something.